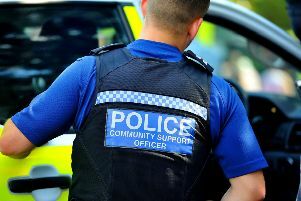 More than 300 firearms and thousands of bullets and shotgun rounds have been handed in during a county-wide police campaign. Between 10 November and 21 November Sussex Police and Surrey Police ran a surrender during which locals were encouraged to take any unwanted weaponry to a police station to be disposed of. In Sussex, 58 handguns, 17 rifles, 53 airguns and 104 shotguns were handed in, along with almost 1,000 shotgun cartridges and more than 4,000 bullets and other types of ammunition. In Surrey, 37 handguns, ten rifles, 10 airguns, eight shotguns and a further 19 other firearms such as imitation weapons were handed in, along with more than 600 shotgun cartridges and more than 300 other rounds of ammunition. Each of them has been examined and made safe by trained firearms officers. The surrender was launched as an opportunity for those whose licence had lapsed or who do not hold a license to dispose of their weapons and ammunition safely and without prosecution. However each weapon may be analysed to determine if it has been used in crime and, if it has, it will be investigated. Chief Superintendent Paul Morrison, the head of operations command across Sussex Police and Surrey Police, said: “The surrender has led to more than 300 firearms being taken out of circulation and although there’s no suggestion that any were involved in crime, all of them had the potential to be dangerous if they fell into the wrong hands. The surrender was part of a nationwide operation being co-ordinated by the National Ballistics Intelligence Service (NABIS), which analyses guns and ballistic material for police forces across the UK. New legislation that came into effect on July 14 increased the maximum jail term for illegal gun possession from 10 years to life.